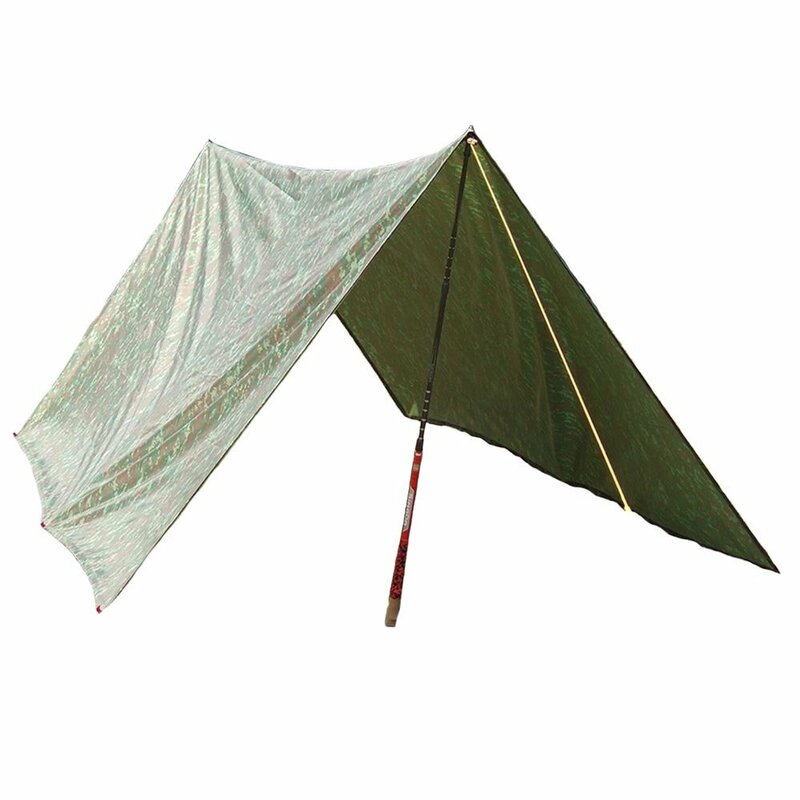 Multi-function - can be used as awning or ground sheet. Heavy duty waterproof oxford nylon tarp with 5000pu waterproofing. Tarp measures 10' x 10' and comes with 8 grommet attachment points. Folded size is 11' x 8" x 1.4"
Weighs 1.96 lbs and comes with a storage bag and 50 ft paracord. Does not come with poles.